Although there are several methods of sedation, all of them are focused on helping you relax. Unfortunately, nearly 60% of people suffer from dental anxiety to some extent. If a visit to the dentist causes anxiety, sedation may be beneficial for you to consider. The three different routes for sedation include nitrous oxide, IV sedation, and oral sedation. All of the methods have great success for patients whether the visit to the dentist is a general cleaning Or a dental procedure. When anxiety is hindering your ability to relax, we want to help you maximize your dental experience through sedation. 1 Stop dreading a trip to the dentist. 2 Help you embrace relaxation during your dental experience. 3 Calm your nerves and fears instantly. 4 Prevent anxiety, heart, or blood pressure episodes while undergoing dental work. 5 Save time as the dental work can be completed without delay from your discomfort. Determine the best relaxation plan for you. Prior to undergoing any sort of sedation, we will consult with you to figure out the best fit for your needs. In addition to considering factors such as your health and stress levels, the type of dental procedure can impact which course of action is most suitable. Regardless of the type of sedation needed, you will be completely soothed prior to undergoing any sort of dental procedure. Otherwise known as laughing gas, nitrous oxide is a quick solution which allows you the comfort of sedation without longer lasting drowsiness. At the end of the procedure, oxygen delivered through the mask will flush out the gas swiftly. Nitrous oxide gently eases your anxiety although you are still conscious. This sedation route is the only choice which you could still be capable of driving after your procedure. There are different levels of sedation accomplished through oral sedation: minimal and moderate. Depending on your needs, the appropriate pill will be selected. Generally speaking, sedative pills can take up to an hour to fully take effect. Minimal oral sedatives will make you drowsy, but you would still be awake. Moderate sedatives could actually cause you to fall asleep, not recalling the details of your procedure at all. Since the sedative is delivered directly through a vein, your relaxation starts quickly. We are able to get to work more quickly as well as alter your sedation levels as needed. IV sedation is known for being safe and effective because it is constantly controlled and adjusted. While you are sedated, our staff will be monitoring your heart rate, blood pressure, and blood oxygen levels constantly. You can rest deeply, knowing your health and wellness are being prioritized. 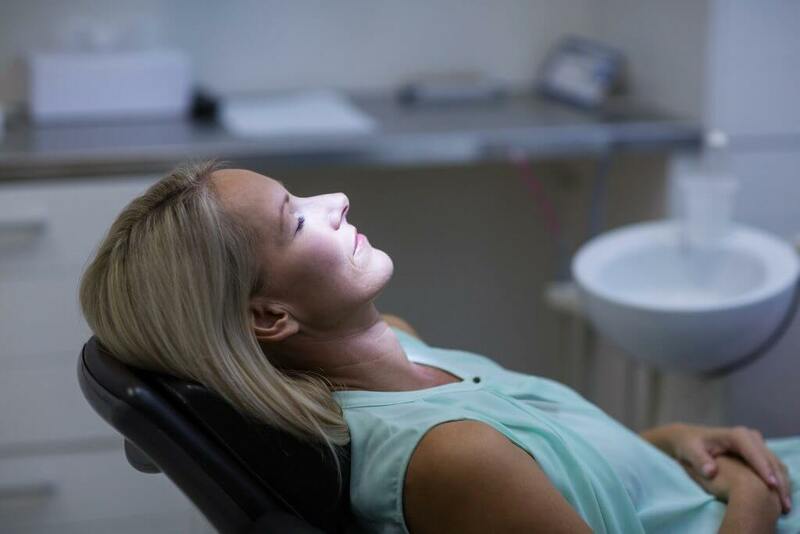 If you are experiencing dental anxiety, schedule a consultation to determine the best sedation option for making your dental experience more relaxed.